1996 Martin D-41 Acoustic Electric Flattop Guitar Natural Finish USA Made W/OHSC Condition: Used: An..
2001 MARTIN D-41 Pure Acoustic Guitar, Deep Low End w/Clear Mids &amp; Treble Vibes! 2001 MARTIN D-41 Pure Acoustic Guitar, Deep Low End w/Clear Mids & Treble Vibes! Condition: Used..
2002 Martin D-41 DF Dan Fogelberg D-41DF #53 Acoustic Guitar Brand: Martin;Dexterity: Right-Handed..
2012 Martin D-41 CTM Quilted Sapele NAMM Model Acoustic Guitar Free Shipping Brand: Martin;String C..
2015 Martin USA D-41 Standard Acoustic Guitar w/Case Ships Worldwide Unplayed! 2015 Martin USA D-41 Standard Acoustic Guitar w/Case Ships Worldwide Unplayed! Body Type: Solid;Str..
2018 Custom Martin D-41 Dreadnought Acoustic Guitar Solid Rosewood Sides&BackFeaturesCustom-made.. BRAND NEW Giannini GD-41 TRD Translucent Red Dreadnought Guitar Condition: New: A brand-new, unused,.. BRAND NEW Giannini GD-41SPC Acoustic Dreadnought Guitar with a Natural Finish Condition: New: A bran.. 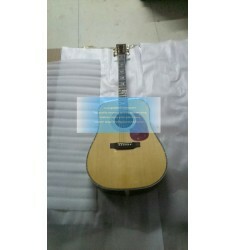 BRAND NEW Giannini GD-41SPC LH Left Handed Acoustic Dreadnought Guitar Condition: New: A brand-new, .. BRAND NEW Giannini Guitars GD-41 BK Fingerboard Acoustic Guitar (Black) Condition: New: A brand-new,..